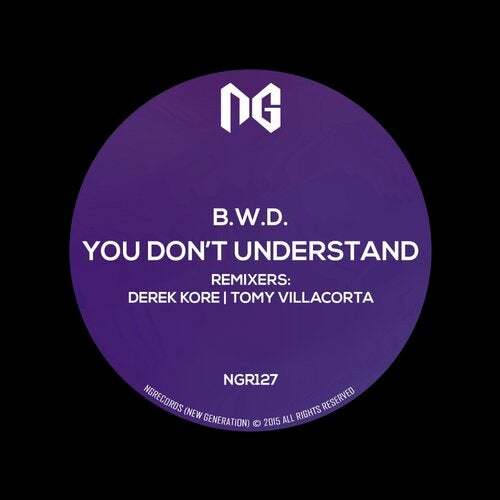 "You Don't Understand" is a release by B.W.D. and NGRecords. It includes remixes from Derek Kore and Tomy Villacorta.